Unknown school. 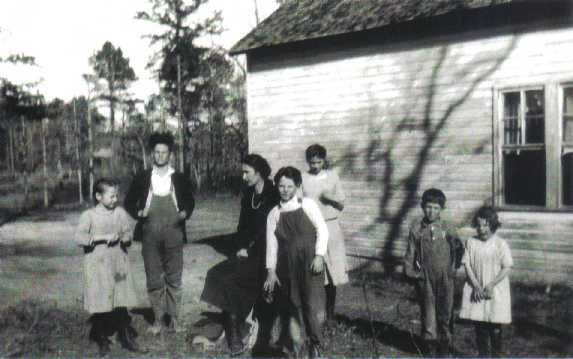 School teacher (third from left) is Ruby (Reeve) Abner. Photo courtesy of Kelly Abner.